While in New York today (January 14), Ice Cube reacted to Straight Outta Compton not getting an Oscar nod. While it was not nominated Best Picture, the N.W.A biopic that Ice Cube produced was nominated for best Original Screenplay. Ice Cube, who along with Eazy-E, Dr. Dre, MC Ren and DJ Yella comprised N.W.A, is portrayed by his son O’shea Jackson Jr. in the film. Straight Outta Compton is the highest-grossing film by a Black director of all time. The Academy Awards were announced today. Nominated for Best Picture are The Big Short, Bridge of Spies, Brooklyn, Mad Max: Fury Road, The Martian, The Revenant, Room and Spotlight. 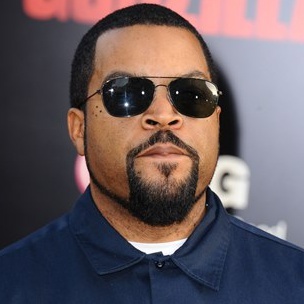 Ice Cube next appears in Ride Along 2, which is set to arrive in theaters tomorrow (January 15).